Garden City, sometimes known as Garden City Beach, is a small seaside community nestled in the heart of South Carolina’s Grand Strand. It encompasses miles of pristine beach, enjoys a temperate climate, and is both an active residential community and a thriving vacation destination. The Pier at Garden City, officially known as the Kingfisher Pier, is one of the most renowned attractions in Garden City, SC. According to Sun News "The Best of the Beach Visitors’ Poll" the Pier at Garden City has the honor of being the “Best Pier” for seven consecutive years since 2005! The pier is located eight miles south of Myrtle Beach in the heart of Garden City Beach. RE/MAX Southern Shores agents know the Garden City inland and beach market and properties, so they can find the perfect condominium, townhouse, investment property or year-round residence YOU are looking for! Check out an example of one of the many golf course condominium communuities in the Garden City area in the video that follows. Garden City has beachfront as well as inland properties just waiting for you. RE/MAX Southern Shores brings the Garden City real esatate market to you! Welcome to the search page for RE/MAX Southern Shores where you can find a highly qualified and trained Garden City real estate specialist! On this page you can input your specific needs to search all of Garden City, South Carolina real estate to find the perfect property for YOU. There are thousands of homes and condos owned for the sole purpose of attracting weekly vacation rentals. 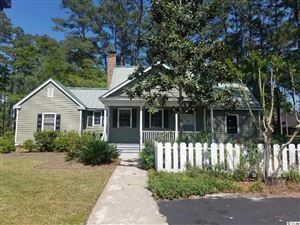 Garden City Beach can be the perfect Myrtle Beach location to invest in rental property. Use the form on the left of the home page to search for Garden City real estate listings or choose one of the links to learn more about other Grand Strand communities. RE/MAX Southern Shores agents sell both residential and vacation homes in this quiet section of the Grand Strand where beach houses dot the shoreline of this quiet, Grand Strand town. With a skilled Agent's help, you will find the home, condo, vacation home, investment property, or land that YOU are looking for. If you have any questions, please contact our office at 843-839-0200 where RE/MAX Southern Shores agents are available every day to assist with all your Garden City, South Carolina real estate needs. We’ll help you navigate the touring, selection, negotiation, and purchase process for the property that is perfect for YOU!